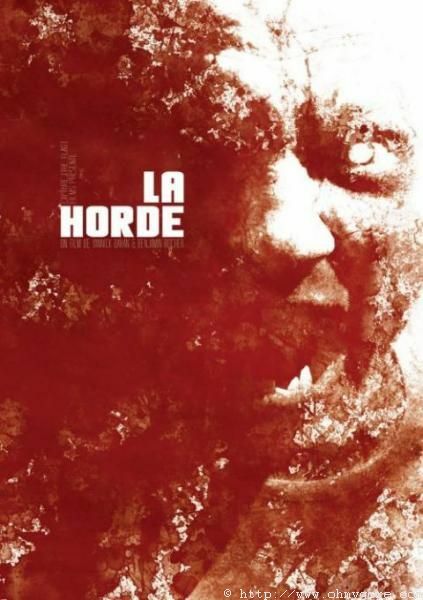 "LA HORDE" Teaser Trailer for "THE HORDE" is Finally here! Teaser Trailer for "THE HORDE" is Finally here! Here's the first teaser trailer for Yannick Dahan & Benjamin Rocher ' "LA HORDE" ! "North of Paris. In order to avenge the murder of one of their own by a group of ruthless gangsters, corrupt cops four go on a rampage in a condemned building serving as the mobster's hideout. Now trapped, the officers are about to be executed when the unimaginable occurs: hordes of bloodthirsty, cannibalistic creatures invade the building, savagely attacking everyone. Unexpected alliances are made when their lives are threatened by the unthinkable." Synopsis : North of Paris. In order to avenge the murder of one of their own by a group of ruthless gangsters, corrupt cops four go on a rampage in a condemned building serving as the mobster's hideout. Now trapped, the officers are about to be executed when the unimaginable occurs: hordes of bloodthirsty, cannibalistic creatures invade the building, savagely attacking everyone. Unexpected alliances are made when their lives are threatened by the unthinkable. hehe. i thought it was LA horde as in, los angeles horde. my bad!